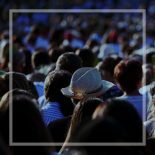 How Metro Rehab is Helping in the Nation’s Opioid Emergency | Metropolitan Rehabilitation Clinics, Inc.
As we discussed in our previous post, the United States Department of Health and Human Services (HHS) has declared a public health emergency on the opioid crisis in the United States. When the federal government declares a public health emergency, it releases additional resources to respond to a public health crisis. Opioid overdose kills more Americans, each year, than guns and car accidents — it is an emergency! To combat the problem, the American government has put the focus on five major priorities. ”improving access to treatment and recovery services. In today’s post, we are going to take some time to explain how Metro Rehab has been focusing on these priorities for more than 20 years. There are currently more than 14,000 substance abuse facilities in the United States and Metropolitan Rehabilitation Clinic of Oak Park, Michigan has been making addiction recovery services available to the residents to Detroit and the surrounding areas for more than 20 years. We do not sit back and wait for patients to find us, we work aggressively with several community agencies to take a proactive approach to prevention and seek to help people identify their addictions early. We offer a wide range of services from helping friends, family, and addicts identify drug abuse to helping families and patients through their recovery journey. We offer inpatient and outpatient rehab, and ongoing outpatient services. We take a variety of insurance and can work with anyone. We want to make sure that every citizen has access to the substance abuse recovery care that they need. At Metro Rehab, we utilize several different recovery options including Narcan, methadone, suboxone, and naltrexone. We offer addiction recovery medications in conjunction with other treatment options to create a holistic approach to recovery. Other treatment options we offer include drug addiction counseling and coping techniques to manage life without opiates. At Metro Rehab, we have helped thousands of patients and their families through the addiction process. We have a deep understanding of the addiction process and the effect of the opioid crisis on our community. We understand the toll that addiction can have on an addict, their friends, family, and community. We also understand our role in helping counteract the drug help people overcome their addictions. Providing Support for Research on Addiction. Metro Rehabilitation Clinics of Oak Park are not research facilities, per se, but we do share our findings and treatment outcomes to help create better treatment plans. Additionally, we use evidence-based practice based on the latest research findings to tailor our approach for better outcomes. As we have discussed before, heroin is not the main cause of the opioid epidemic — prescription narcotics are. At Metro Rehab, we understand the importance of safe pain management and the drug-seeking behaviors of addicts. Part of our addiction recovery treatment is identifying underlying sources of addiction, including chronic pain. We help our clients find healthy coping mechanisms and pain management techniques that will not feed the addiction. 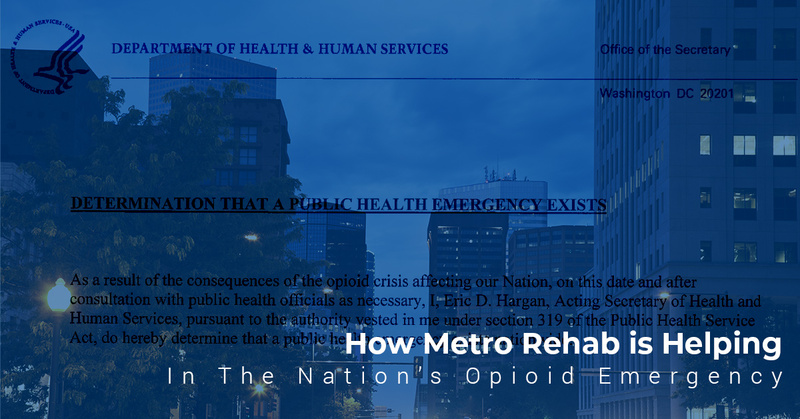 At Metro Rehab, we feel it is our responsibility to help respond to the public health crisis that is opioid addiction. We offer support and addiction recovery services in many different forms. If you or someone you love is struggling with opioid addiction, contact us to start your sober journey. For more information on the current public health emergency, check out these resources. For more information on the extent of the problem and what the federal government is doing to help, read the U.S. Department of Health and Human Service’s opioid website: https://www.hhs.gov/opioids/ . To read the Surgeon General’s statement on the crisis, read here: https://www.surgeongeneral.gov/priorities/opioid-overdose-prevention/naloxone-advisory.html .